The great thing about basement conversion is that you are converting what you already have. You are not extending your property or adding onto it in any way, so you are already converting what you have been given planning permission for so it should be easy to get planning permission. Planning permission was not invented as an obstacle for your basement conversion but are designed to make sure that everything runs smoothly and that your planned conversion is not going to upset your neighbours or cause any trouble for the people in your local area. Planning permissions are there to protect you and make sure that your basement use does not disadvantage you or anyone around you. Most basement conversions will not need any planning permission as long as you are not adding anything to your property. What You Will Need Permission For? In some cases you will need to speak to your builder or local council about what planning permission you will require for your planned basement use. 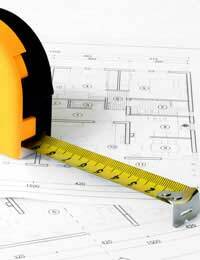 If you are adding anything new to your conversion you will almost certainly need to obtain planning permission. You may decide that you want to add a new entrance or some new windows into your basement conversion if you do want to add these you will need to make sure that you speak to your local council to make sure whether you need any planning permission. If you are digging up parts of your basement you will also need to consult your local council before you do this. Even though it is just your house that is getting the work done your basement use may affect those around you. If you need to dig up your basement then you may find that some of your road or pavement outside may also need to be dug up. Cellars that are converted into basements will require a lot more digging and building work, so you may need to speak to your local council about any renovation. You will also need to make sure you speak to your neighbours as they will need to sign a party wall agreement for your basement renovation. They will need to make sure that their property is protected as well as yours and by them agreeing to sign the agreement it will help prevent any problems in the future. Even if you are not planning to extend your property there are certain circumstances in which you will need to get planning permission. If your property is a listed building then you will almost definitely require panning permission from your local council before you lift a finger or start your basement renovation. Even if your basement use will not have any effect on your neighbours or the outside appearance of your property, you will be required by law to get your plans approved by the council as you will be altering a listed building. Even if you do not require planning permission for your conversion you will still need to follow and comply with building regulations whatever your basement use will be, which may affect your plans. You will need to make sure that you have a firm foundation and that the basement is adequately waterproofed and damp proofed. Converting basements or cellars is a lot easier to get planning permission for than an extension to your property. In most cases you will need no planning permission, but you should always check with your local council first. The last thing you want is to have to take your conversion down because you have not gained planning permission. @book. You'd have to check with your local planning officer - it doesn't sound like a right to light issue to us.